Hope I. Hills, Ph.D,is the founder and president of Circle Consulting Group, LLC. 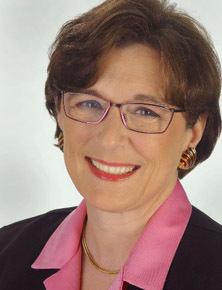 A psychologist since 1986, and a Leadership and Organizational consultant since 1991, she brings a breadth and depth of experience to her work with leaders and their organizations. Her years of teaching, research and practice support her extraordinary track record as an executive coach. She has designed a Life Line Process that enables leaders to recognize the life experiences and core beliefs that are holding them back from getting the results they want. 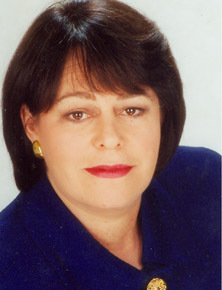 She is the invited author of a chapter on coaching men in business that outlines her approach. Her work with Executive and Senior Teams routinely results in their performing higher than expected. She has designed and implemented very successful succession planning and high potential development processes. Her design for high potential and executive development focuses on creating a “new learning environment” around the individual by involving direct reports, peers and supervisors. Hope is also an accomplished trainer and speaker. She has been invited by numerous organizations to present workshops and speak on the Interpersonal Circle, Psychologists as Consultants, Managing Change, and Diversity in the Workplace. Laura Wimbish, Ph.D. For the past 20 years, Laura has worked extensively with executives and their teams to create high performance organizations capable of meeting the challenges of an increasingly complex and globalized marketplace. A licensed psychologist and partner in the Circle Consulting Group, her focus is on developing leadership potential in the workplace by helping people transcend self-limiting perceptions, attitudes and interpersonal behaviors. Prior to joining Circle Consulting, Laura was a principal in the Chicago-based WorkGroup Consultants, Inc. She was also the President and founder of Chicago Psychological Services and Consulting. Laura’s approach integrates what she has learned from many years of psychological practice as well as her experience as a consultant and coach. Her areas of expertise include executive coaching and leadership development, assessment, needs analysis, organizational realignment, change management, team building, work/life balance and critical incident services. Benefits clients have received by working with Laura include healthier, happier and more effective leaders, a more vibrant and positive culture and working environment, greater enthusiasm, creativity and initiative on the part of employees, decreased employee turnover, increased morale, enhanced productivity, more openness to change, and a recognition of continuous learning as a cornerstone of personal and professional growth.